Fan forced circulation in the refrigerator allows for precise temperature uniformity from top-to-bottom, front-to-back and side-to-side. Efficient temperature recovery properties restore internal temperature to setpoint quickly following routine door openings. The refrigerator evaporator operates above freezing temperatures, reducing the need for defrost and preventing product exposure to freezing temperatures. 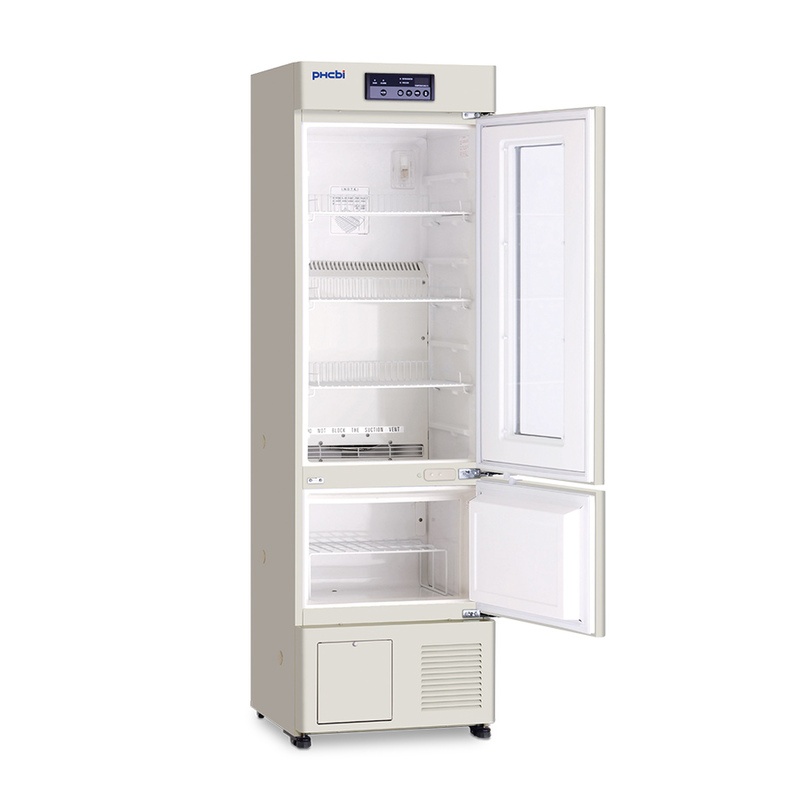 This lab refrigerator freezer combo is ideal for biologicals, reagents and vaccine storage. Comprehensive setpoint, alarm, monitoring and diagnostic functions are based on the PHC built microprocessor controller with digital display of all input/output functions. The microprocessor and the electronic temperature controls ensure the set temperature is maintained. 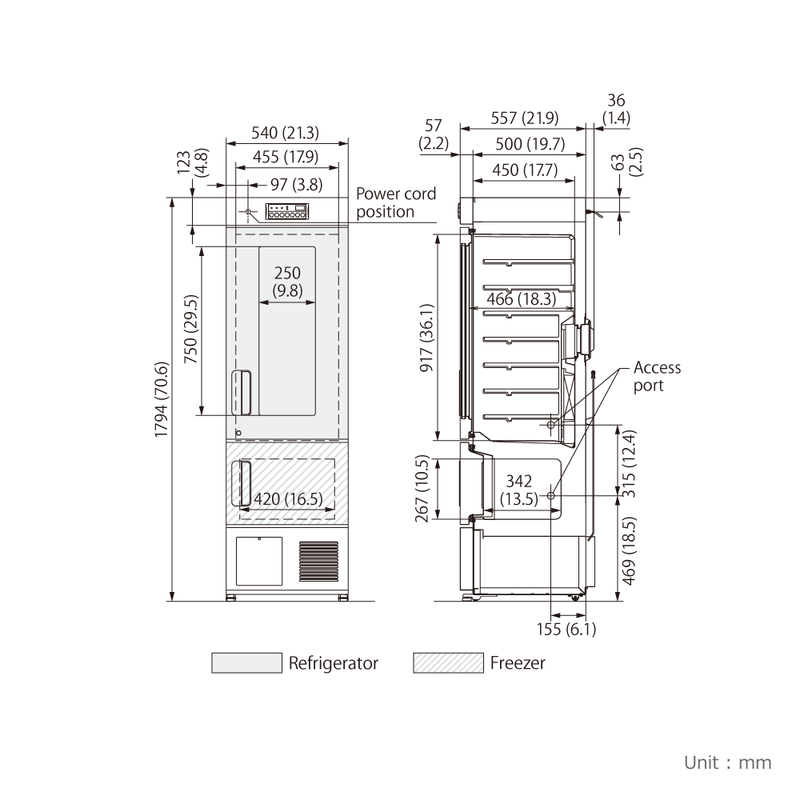 Separate refrigeration systems and compressors permit differential control of individual refrigerator compartments, allowing freezer section to maintain temperatures as low as -30°C. 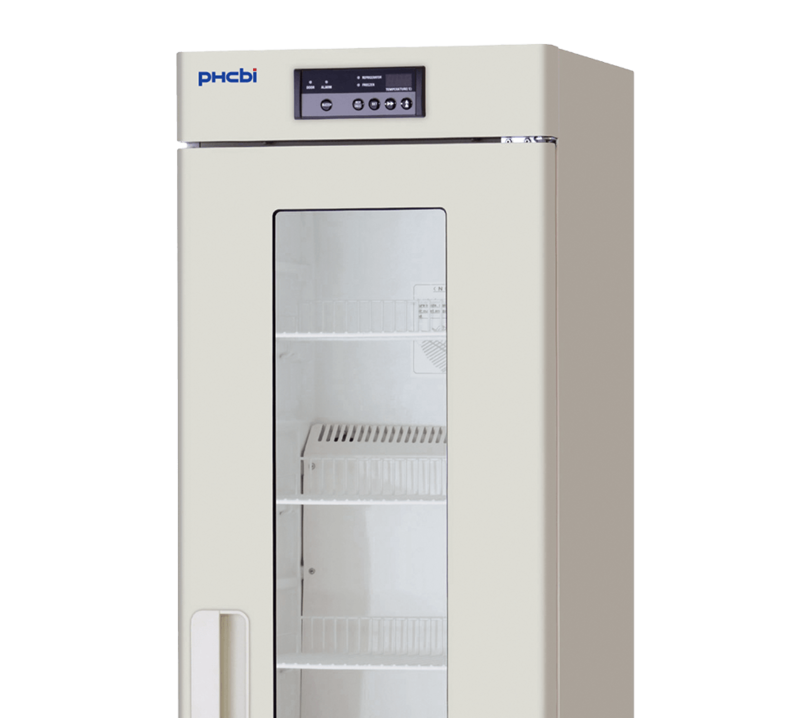 The PHCbi refrigerator freezer for vaccine storage is designed to assure stored product safety to meet regulatory guidelines for vaccine and biologicals. Accurate temperature sensors and controllers inside the refrigerator maintain a set temperature between 2°C and 8°C. Alarms and temperature monitoring allow for quick notification of adverse operating conditions. The unique cycle defrost refrigerator only initiates as required and maintains internal temperature uniformity without fluctuations. 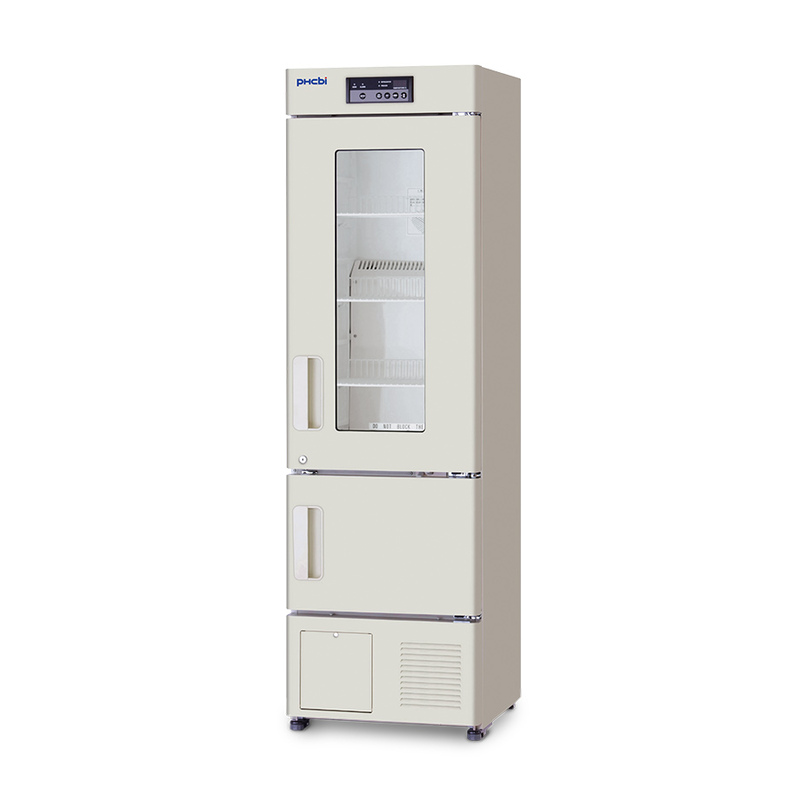 With the growing emphasis on proper storage of laboratory and pharmaceutical materials, the PHCbi MPR-215F-PA pharmaceutical refrigerator with freezer combines high performance refrigeration control and monitoring systems with energy efficient and cost-effective cabinet design. Separate refrigeration systems and compressors allow you to maintain proper temperature uniformity while saving space for even the smallest of facilities. The MPR-215F-PA refrigerator freezer for vaccine storage provides superior temperature uniformity, alarms and temperature monitoring and efficient temperature recovery properties.